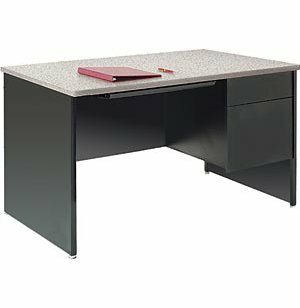 Single Pedestal Teachers Desk - Panel Ends 43"x24"
Image does not reflect actual size. See dimensions below. Shown with optional center drawer. 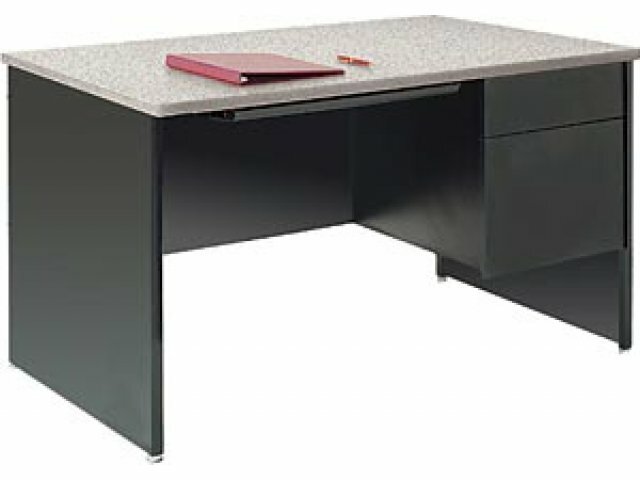 This Desk comes fully assembled with 3MM edge banding on the desktop and end panels.